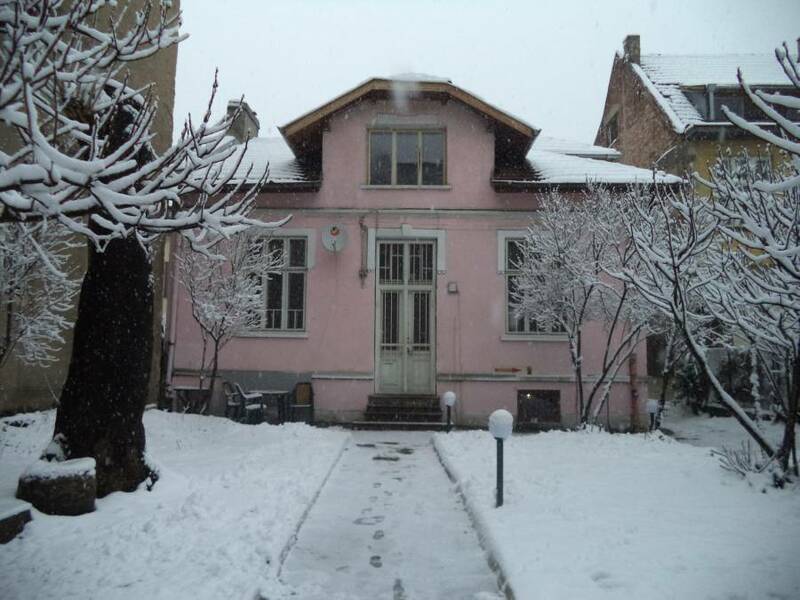 Sofia, Bulgaria - Sofia, Bulgaria, Iskar 37 Str. Hostel 44 is a brand new facility, recently opened for business, located in the heart of Sofia. It is just 47 meters/140 feet (exactly measured) away from the most popular pedestrian area in the city – The central sreet. It’s close to all the best attractions and hot spots the city has to offer during the sunny days and sleepless nights. The lively area is full of pubs, restaurants and bars for the ones who are interested in the night life happening in the capital. Those who prefer seeing the sights Sofia has to offer, will be pleased to know that our excellent location provides easy access to all the famous historical sights - they’re not any further than a 10 minute walk away ! Except Vitosha mountain…(for obvious reasons). Since we’re the latest hostel opened in the city, all "the nicely mannered and multinigual personnel" has already been hired. Bearing this fact in mind, we only have a few half-brains left. Albeit their lack of skills, they’re quite friendly, helpful and know the sights in the city like the palm of their hand. The hostel itself is brand new and located in a three-story house. In terms of accomodation, we have got 3 mixed dormitories - for 6 people each. One female dormitory - for 6 women (we know it’s quite risky to put six unacquainted women in one room, but we’re quite adventurous and like to live on the edge). We also have a fully equipped kitchen and a small, but cozy common room with a big flat screen TV and a computer for you to use. However, if you decide to bring your own laptop/tablet/smartphone, don’t worry - we have free Wi-Fi. The house is divided into common areas such as the kitchen/dining room and the living room. During the day you can also sit outside the house, drinking first morning tea or coffee or just to relax after a long day filled with sightseeing. We have positioned chairs and tables, where you can enjoy the silence, while being in the heart of the city. What is more, our common room is at another floor, so that people that want to chat don't bother the ones that want to sleep. We're centrally located in a newly painted and rebuilt three-floor building, only a stone's throw from major tourist and cultural points of interest in Sofia. We're also close to bars, clubs, restaurants, shops and supermarkets. We have oun bar too. Also we have excellent public transport connections to all parts of the city. Everything you need is right here and your great stay in Sofia can start. In just a few minutes time, you can get to the main attractions of Sofia - The Presidency, the Sv. Nedelya church, the largo of Sofia, the Central Halls, the shopping street Vitosha, plenty of bars, coffees and restaurants. In same time we are located in a small and very quiet street. You feel like you are in the heart of the vibrant and crowded capital, but without its unpleasant noises. Our address is Iskar 37 str., two minutes away from the Courthouse of Sofia and some of the most renowned streets in the city. We also provide a pick-up service so you won’t have to waste your time waiting and explaining things to taxi drivers. The latter is not free, but it’s cheaper than travelling with a taxi. You can either pre-order by submitting your arrival details or you can just give us a call when you’re at the airport or train/bus station. Hostel 44 is a brand new facility, recently opened for business, located in the heart of Sofia. It is just 47 meters/140 feet (exactly measured) away from the most popular pedestrian area in the city – Vitosha blvd. It’s close to all the best attractions and hot spots the city has to offer during the sunny days and sleepless nights. The lively area is full of pubs, restaurants and bars for the ones who are interested in the night life happening in the capital. Those who prefer seeing the sights Sofia has to offer, will be pleased to know that our excellent location provides easy access to all the famous historical sights - they’re not any further than a 10 minute walk away ! Except Vitosha mountain…(for obvious reasons). Since we’re the latest hostel opened in the city, all "the nicely mannered and multinigual personnel" has already been hired. Bearing this fact in mind, we only have a few half-brains left. Albeit their lack of skills, they’re quite friendly, helpful and know the sights in the city like the palm of their hand. The hostel itself is brand new and located in a three-story house. In terms of accomodation, we have got 3 mixed dormitories - for 6 people each. One female dormitory - for 6 women (we know it’s quite risky to put six unacquainted women in one room, but we’re quite adventurous and like to live on the edge). There are also two double rooms en suite (these rooms are equipped with cable television and a mini-refrigerator). The friendly staff, working at out hostel will help you with useful information and tips about the city: how to get to the touristic highlights or other places you would wish to visit. Every week the staff will inform you about interesting events and parties or even small curiosities which will make your stay unforgettable. Feel free to torture them with millions of questions as they know Sofia like the palm of their hand and should be fond of everything you’re interested in. When someone is away from home he/she would like to spend the time for rest to feel comfortable and pleasant like home, that is the reason why we have made it all for you. The rooms are brightened, the beds are comfortable, the linen and towels are clean and fresh. The rooms are equipped with all the necessary things to make your stay easy. 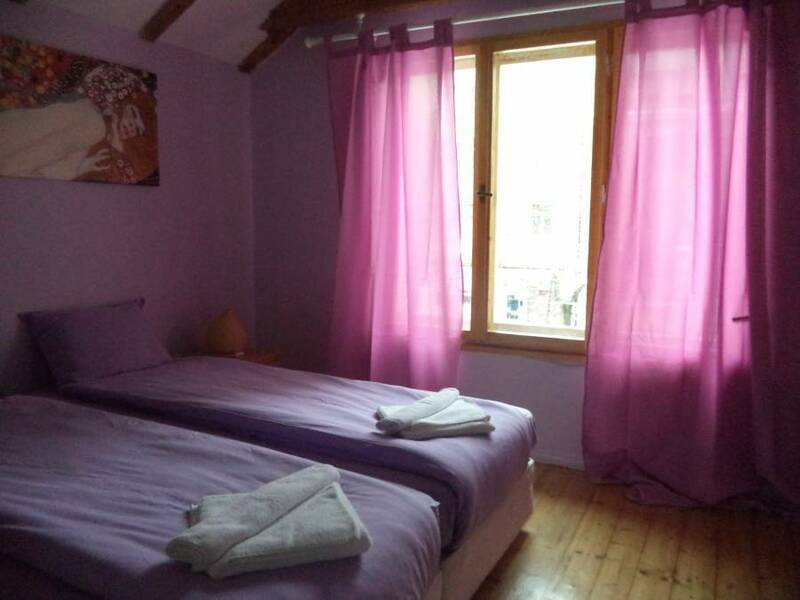 The other thing we really care a lot is the cleanness in the rooms, bathrooms and the whole hostel. We offer 3 dorm with 3 double beds ( bunk beds ) Shared bathrooms. 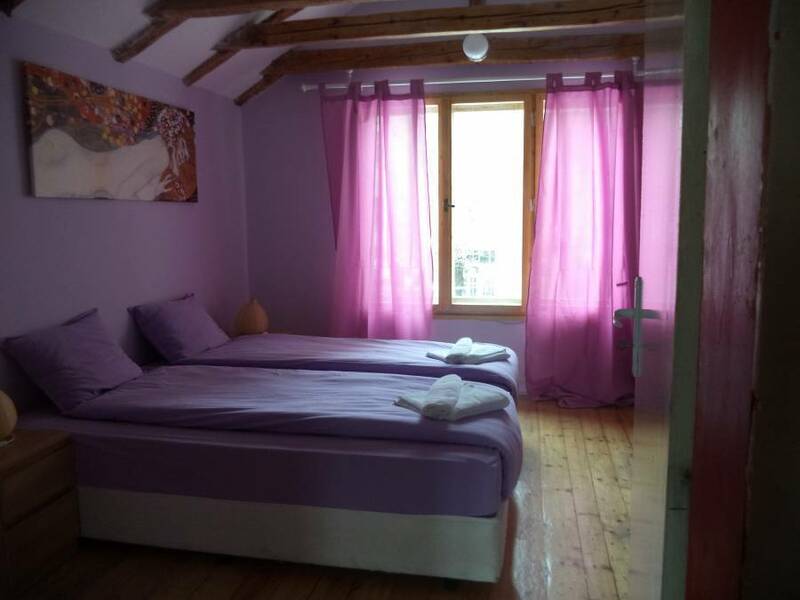 We're centrally located in a newly painted and rebuilt three-floor building, only a stone's throw from major tourist and cultural points of interest in Sofia. We're also close to bars, clubs, restaurants, shops and supermarkets. Also we have excellent public transport connections to all parts of the city. Everything you need is right here and your great stay in Sofia can start. In just a few minutes time, you can get to the main attractions of Sofia - The Presidency, the Sv. Nedelya church, the largo of Sofia, the Central Halls, the shopping street Vitosha, plenty of bars, coffees and restaurants. In same time we are located in a small and very quiet street. You feel like you are in the heart of the vibrant and crowded capital, but without its unpleasant noises. No lockouts, no curfew, you are completely free and independent, the only condition is to respect the others guests peace. Bunk beds per night 10 euro, single room per night 20 euro, double room per night 25 euro. Please all fees must be paid in advance in cash. Please tell us the appropriate time of arrival, just to know when the room must be ready. Have a nice trip. Our address is Iskar str 37, two minutes away from the Courthouse of Sofia and some of the most renowned streets in the city. We also provide a pick-up service so you won’t have to waste your time waiting and explaining things to taxi drivers. The latter is not free, but it’s cheaper than travelling with a taxi. You can either pre-order by submitting your arrival details or you can just give us a call when you’re at the airport or train/bus station. From metrostation is 5 minutes walking, by tram 5 minutes from the metro, from the busstation or railwaystation is 15 minutes by public transport, from the airport 15 minutes by metro and 5 minutes walking.